This Website and SEO project was a complete redesign of an exiting website that provides local repairs to a wide range of iPhones, tablets, android phones and Mac computers. 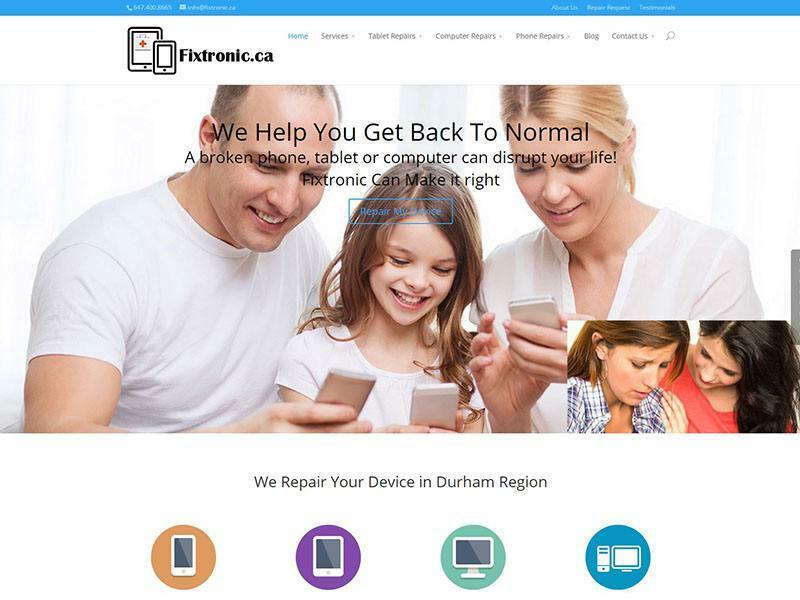 This website design is a modern user friendly yet state of the art mobile friendly design with very strong local SEO that has placed this website on page 1 for Google search results for over 25 local search phrases such as iPhone repair, cell phone repair, tablet repair, screen repair and is targeted to the town of Ajax and Whitby and all of Durham Region in Ontario. This site was completed on time and within budget and the SEO work is on going and active.